A sequel to Project X Zone, the Capcom/Bandai Namco/Sega mega crossover, is reportedly in the works. 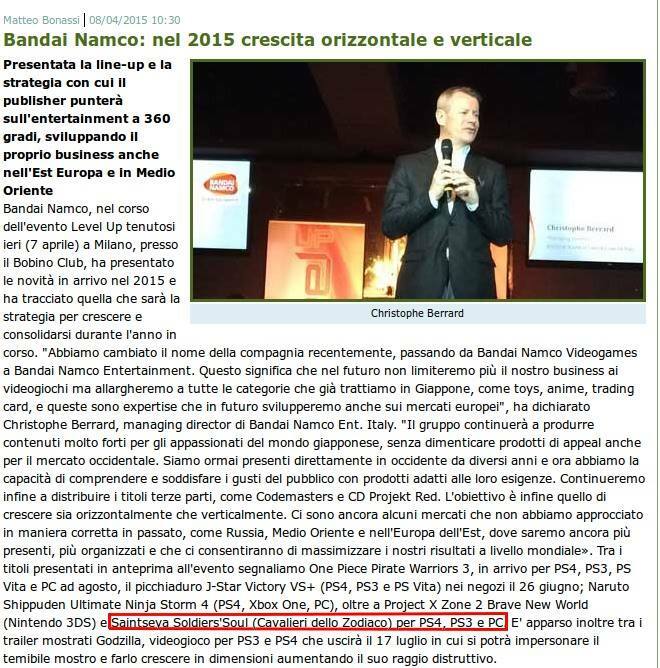 According to Italian website e-duesse, Project X Zone 2: Brave New World for Nintendo 3DS was shown off during Bandai Namco's "Level Up" press event in Milan on April 7th. The game appeared alongside Saint Seya Soldiers' Soul, which was just officially announced earlier today. Of note, both references to Project X Zone 2 and Saint Seya have since been omitted from the original article (here's the pre-edit screenshot). That's typically a good sign, one further validated by a well-timed teaser site from Namco Bandai. The countdown, ending April 13th, features a city enshrouded in mist. Setting your clock to post-April 13th produces a series of ominous yellow chains. If this turns out to be true, I would advise everyone to be cautious in regards to their hopes for Mega Man related content in the game. Not saying be negative, just keep expectations in check. That said, I wonder if they will work out some of the pacing issues people had with the first game. I only played the demo of the first. It wasn't really my kind of game, but as far as strategy RPGs go (is that the technical term? ), it was pretty fun! Glad they're making a sequel! I DID read the script with X and Zero's story, and it seemed really, really interesting! Hope for a fun ride for everyone who gets it! Lol, Brave New World... Totally not familiar.